Jacques Hirtt holds a degree in business administration from the University of Mannheim (Germany) with specialization in organization and international management. Before joining Muller & Associés in 2016, Jacques worked for more than 7 years in the Luxembourg industrial sector. As a management controller as well as finance and administration manager, he was able to gain a great professional experience, especially in finance, accounting and controlling. Jacques is a member of the Board of Directors of several non-profit organizations. 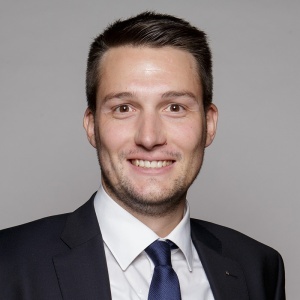 He was president of the “Fédération des Jeunes Dirigeants d’Entreprise de Luxembourg – FJD” (Luxembourg Federation of Young Business Leaders) in 2015/2016. Jacques is fluent in Luxembourgish, French, German and English.